Here you can find interesting screenshots and videos of our free magic farm game Miramagia. More than 3.1 million registered farmers have already set up their own magical farm online. Here we present to you some of the particularly pretty villages from the existing game worlds which our players have lovingly decorated. Play online for free now! Do you love farm games? Then come and play Miramagia as a Sorcerer, Mage, Druid or Shaman and create your own magical farm for free! A fascinating world awaits you here - a world full of fantastic plants and bizarre creatures. You get to know many nice people here too, whether in your village neighbourhood or in the town. 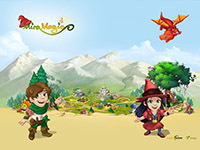 Play with your family and friends for free and with their help, make your village the prettiest in Miramagia! Special spells enable you to give gifts to friendly neighbours, or play a little prank on them. Helpful fairies and a little dragon are always by your side! Just as you often drop by the world of Miramagia, Miro the dragon also makes an appearance in our world occasionally! He visits our loyal players at home and travels with them to exciting places. He can't get enough of the mountains (volcanoes! ), deserts, beaches, canyons, cities and idyllic villages, like the ones in his home world. Go and take a look at our map and see where he has already been by clicking on one of the pins there. Via the link, you can also see a big holiday snap of our dragon. Miro and the Miramagia Team wish you all the best on your travels! By the way: Miro will maybe come and visit you soon, too. If you'd like to travel with Miro and take a really cool photo of him, you can find out how this little dragon may be with you soon by clicking on "Apply". If you are going on an exciting holiday, we would love it if you took Miro with you and then sent us a photo of him on your travels. Every month we'll send a dragon off and, in our team, we will choose the most interesting holiday destination for him (e.g. Tierra del Fuego, Hawaii, Komodo and Loch Ness are at the top of the list). He's already visited the dragon cliffs, but it was boring as he isn't yet 60. Applications will be accepted at any time! By participating, you commit to sending us (using the above address) a photo of Miro in front of an interesting backdrop at the holiday destination. You can already see plenty of examples on the map. We will then add suitable photos to the map. Of course, you may keep the dragon afterwards. Give him a good home; dragons are very rare and have to be looked after! a. By sending an application and a photo, the participant confirms and accepts the validity of these terms. b. Participation is voluntary and free of charge. 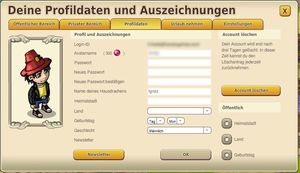 c.	The offer is restricted to participants who are resident in the Federal Republic of Germany, Austria or Switzerland. d.	All those aged 14 or over at the time of sending their photo may participate. e.	There is no legal recourse. 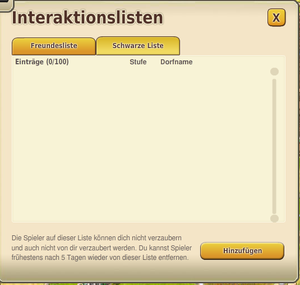 The offer is held continuously but may be ended by TRAVIAN GAMES at any time. Participation (sending the application) is possible at any time. Once a month, in the last calendar week of the month, an internal jury chooses their favourites among the entries received. a. Each participant sends a short application in writing to the following address: gewinnspiel@miramagia.com. The participant must provide both their real name and their Miramagia nickname as well as their Miramagia gameworld. b. Each month, one plush dragon is given away to one of the entries received within that month. The decision rests on a Miramagia jury following the aforementioned criteria. d.	The photo must not show any content glorifying violence, nor pornographic, discriminatory, racist, morally condemnable, religious or other forbidden content. Moreover, no brands, copyright or other rights of third parties may be infringed upon in the photo. e.	The image should be submitted in JPG, JPEG or PNG format. f.	All suitable photos are published on the website www.miramagia.de. The Miramagia nickname and Miramagia gameworld of the corresponding participant are also disclosed. g.	The poll is carried out by a jury comprising staff members of the Miramagia team at Travian Games GmbH and Bright Future GmbH. The criteria for the decision are the interesting holiday destination and the authenticity of the entry. In the event of a draw, a lottery decides. h.	The winner of the month is notified by email and must provide his postal address for the dispatch of the prize. Each month, one Miramagia plush dragon (worth approx. 30 Euros) can be won. If you'd like to design and run your own fansite for Miramagia, we'd be very happy. In our fansite policy you'll find all the relevant important information. Apart from that, we have collected some graphics for you in order to make the start as easy as possible for you. Our fansite package contains a number of graphics from various areas, e.g. characters, dragons, backgrounds, logos and of course many of the plants. These graphics can be used for decorating your own website in accordance with our fansite policy. We hope you have fun with your new site and, if you have any questions or requests, we'd be glad to take a look at them in the forum! A magical realm full of fantastic plants and creatures awaits you: Miramagia combines an exciting magical world with the irresistible charm of a gardening simulation. Magic is everywhere in Miramagia, whether you’re a sorcerer, mage, druid or shaman, and can even be found in your own magic garden! You will first learn how to grow herbs, mushrooms and magic shrubs step by step. Once you have cast your first few spells, you will receive a recently hatched baby dragon. If you raise it with tender loving care you will then have a mighty companion to compete with in thrilling dragon races against other players later on in the game. But this is just the beginning: you will confront the first big challenges after just a few hours of gameplay. Not only must the garden be made to look beautiful. You must tend to rare flora and learn powerful spells as well. Everything can be done with magic in Miramagia, from a quick rain spell to changing of entire climatic zones. 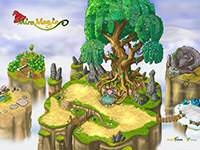 The entire game world of Miramagia consists of meticulously drawn and animated graphics. You must also be loyal and committed to the village community, for example in helping to look after the village tree or in competing in friendly competitions against neighbouring villages. There are over 500 decorative items the player can use to adorn the village. There are special occasions throughout the year such as St Valentine’s Day, Spring Festival, village dances, dragon and fairytale events, Halloween, Christmas and constant new opportunities to be active and creative. But this is only the start: more exciting adventures await you beyond the village boundaries. Miramagia has been designed to provide game longevity and will ensure many years of gaming fun. This is thanks to a host of charming features. 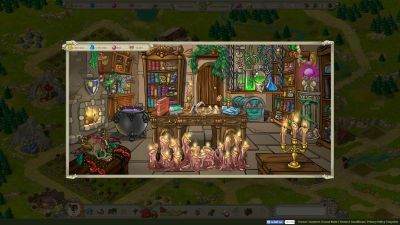 The player can build a magical laboratory, search for mushrooms, solve challenging alchemy puzzles and play amusing tricks on nasty competitors. As with all browser games, players can interact with thousands of other players all over the world. The emphasis in Miramagia is harmonious coexistence. You can choose to act as a shrewd merchant or a dedicated plant breeder. A spirit of friendly competition is also a central element in the game, but all the players primarily work together to make their village beautiful and to see the world grow and flourish together. The game is aimed at all players who love high-end casual games. 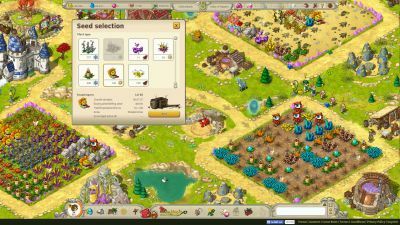 The cross-genre setting, which combines roleplay and a gardening simulation, creates a special atmosphere and unique gaming experience. If you are looking for a relaxing game in a fantastic game world and appealing community, you will feel very much at home in Miramagia. Here you can find answers to the game. You also have the possibility of contacting Support, should you not find an answer here. Here you will find the current game rules. If you cannot find the answer to your question, you can contact Support here. 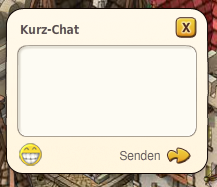 In our Forum you will be able to chat with other players. A 'Let's Play' is a digital video posted on YouTube or a similar platform, which shows a player playing a computer game. The players communicate their actions whilst playing. The permission of the rights holder is required for such Let's Play videos, this is because copyrighted and trademarked content will be shown. If you want to make a Let's Play video about Miramagia, you'll find everything you need to know here. Sowing, harvesting, watering, vapourising and much more. Exclusively in the app is the function to instantly collect all the mushrooms currently available in the village in one go. This saves a lot of time and ensures that you don't miss a single mushroom. What's more, an indicator keeps you constantly informed of how many mushrooms you can harvest today. Of course, you can also purchase Rubies in the Companion app and buy new Plant Fairies for example, accelerate vapourisation or spin the Wheel of Fortune. When you use Miramagia Companion for the first time, you'll also receive a little thank you in the form of 10 Rubies and an exclusive garden object. Important: Companion was not designed to be a game in its own right, rather it serves simply as a support to the browser game Miramagia, which you can play for free at www.miramagia.com. 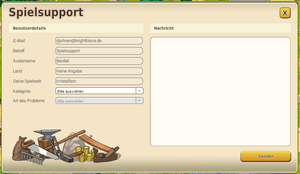 Certain game functions, such as upgrading buildings, the village and city overview as well as the chat are not yet supported in the app. If you don't yet play Miramagia – a huge community of enthusiastic players looks forward to welcoming you! Build your railway empire in your browser! As the founder of a small railway company, you can turn a backwater town into a modern metropolis. Work together with other players, develop your rail network and become the most influential tycoon in six exciting eras. Play Rail Nation now! Travian: Legends is an award-winning, international strategy game set in ancient times. Start off as the chief of your little village, establish more of them, lead wars or trade with your neighbours peacefully. Fight your way to the top alongside your allies. goalunited PRO is a football manager simulation with unique gaming depth, ensuring long-lasting motivation like no other management game. Seamless realism is provided by the highly extensive and complex details of the matches. 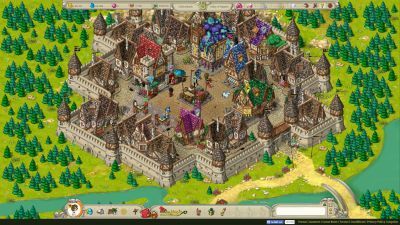 Travian: Kingdoms is the new version of the award-winning, international strategy game set in ancient times. Become the king of your own empire or start out as the governor of your little village. Found additional settlements, wage war or trade peacefully with your neighbours. With the help of your allies you and your kingdom will fight your way to the top. As the leader of your own racing team, you're responsible for all aspects of your team. Research, development, drivers and strategy being just a few examples of what you will have to take care of in order to compete against players in worldwide live races. All of that right from the heart of the action: the pits! Word has arrived from the High Council that there will be an update tomorrow, Tuesday 26th March. Mira will therefore be unavailable for approximately 30 minutes starting at 10:00 UTC. The following overview shows you which game features are unlocked at which level on your magical farm. The following table shows you the level from which different plants are available on your farm and which zone they're best suited to. Here you'll find answers to questions relating to the transformation. Loads of tips and tricks will help you to enhance your magical powers even further. Our package for beginners which we've named "Dreamy Starter Package" for its extensive content is also beneficial to experienced players. 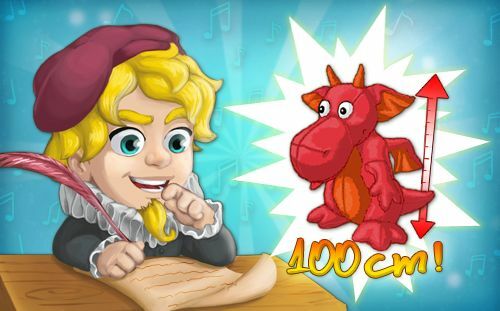 Here you can find out all about the exclusive weekly prizes, e.g. how you can win them, when there are new prizes and how often you can win them. The following table shows you the level from which different spells can be learnt and used in the game. The following overview shows you which game features are unlocked at which level. 12 Alchemy quests become available (they also remain after a transformation for lower levels); previously you had to buy an alchemy set in the Sorcerer's Corner Shop. 25 Tent of Advanced Magic becomes available; can be used once per day. 90 Thanks to the flowers on the World Tree, you can see how much Miragic has already been collected for the transformation and the growth of the World Tree. This also includes plants and spells (see the separate lists) and a whole host of decoration items which become available at various levels. Additionally, once levels 11, 21, 31, etc. up until level 91 are reached, your house on the village map expands. After the first transformation, once level 50 is reached, an additional daily free lottery ticket is unlocked for the Magical Lottery Booth. The following table shows you at which level different plants become available and which zones they're best suited to. The following table shows you from which level you can learn a spell. Together, this content provides you with a little boost when growing plants and make the game so much easier. Clears your field of level 1 obstructions. This automatic vapourisation saves time and resources; you need all the room you can get on your field for more plants, particularly at the lower levels. 7 Plant Fairies accelerate plant growth for 5 days. Thanks to faster growth, you can harvest much more over the same period of time. The current level of your existing buildings is instantly raised by 1, if possible. Saves time and resources - and much more at a high character level. The useful "Busy Little Helpers" spell for growing plants is unlocked for 7 days. Cultivates the whole field with just one click. In combination with the Club Account, the powerful spell "Overall, boosted Downpour" is unlocked. You receive the animated garden item "A heart for plants". A magnificent and sweet animated heart for the garden; not everyone has this. As soon as a package has been redeemed, all level 1 obstructions are cleared. Any level 1 vapourisations currently taking place are finished instantly. Obstructions of level 2 or higher are not affected and must still be cleared. The time and Mana costs for clearing the next field square are calculated from the number of field squares already cleared. Squares cleared by the package are also included here, although the package allows you to save a lot of time and Mana. The next vapourisation following the package works in the same manner as if the level 1 squares were unlocked by the conventional way. The level 1 field squares have to be vapourised anew after a transformation. In order to be able to use the advantage, you should make sure every building site has a building, even if you simply start a construction order. If the maximum level of a building has already been reached, this advantage will have no effect. You can find information about the current/maximum upgrade level in the corresponding building window. If a building is still being constructed and is not yet finished, the level will be immediately increased by one and the progress percent will be carried over to the next level at a ratio of 1:1. That means, if a building has a progress of 50% for level 10 before the package, it will have a progress of 50% for level 11 after the package. In this case, you can also save even more as level 11 would cost more time and resources. However, if the building would reach its maximum level once upgraded, the upgrade is simply completed instantly. Where can I find the package? You can find it in the "Spend Rubies" window. This can be accessed best by simply clicking on the "+" symbol in the menu at the top. If the package is available to you, if will appear at the top of the list. If you have already bought it and haven't transformed in the meantime, it will be moved to the bottom of the list; this allows you to see the advantages even afterwards. Finally, we hope you have fun with the Dreamy Starter Package in Miramagia! The High Council of Mages has confirmed that you are powerful enough to carry out the magical transformation and in doing so, strengthen the World Tree with this mighty ritual. Use Teleportation to travel to the World Tree at the centre of the world, and use the Fountain of Eternal Youth in order to perform the ritual of magical transformation. All your possessions that you have earned upon reaching level 100 will be turned into Miragic when performing the ritual to strengthen the World Tree. Once enough magically-gifted people have performed the magical transformation ritual, the World Tree will level up and create new content in the world; content which is not available in any other world that has not reached the same World Tree level. By looking at the rune stones at the foot of the World Tree, you can see how much it has already been strengthened by Miragic. The more glowing runes there are, the closer the World Tree is to reaching the next level. The mouse-over on the tree shows you when the tree will grow again. Important: as you transform further and become more powerful with the advantages this brings, the time between each transformation will shorten as the game goes on. You can find all the information about the transformation in the answers to the following questions. The Magic Circle produces 5% more Mana after the first transformation, 10% more after the second and 15% after the third, etc. Magical crystals grow on the edge of your field. Thanks to a transformation bonus, they accelerate plant growth by 0.5% after every transformation. After each transformation, one more field square becomes available for "Share Experience" (as of the update on the 4th June 2013). You have the chance to change your class and gender for free. The dragon can now grow from level 26 to level 27. Once you have reached level 50 after the first transformation, you'll receive a free lottery ticket every day at the Magical Lottery Booth. You receive a purple cloak. This changes with every transformation, enabling other players to see your progress. The cloak is optional and can be removed or put back on at any time. A special transformation cloak can be bought in the Sorcerer's Corner Shop after the first transformation. You get one of eight statues. This depends which class and gender you performed the transformation in. Once you have performed a certain number of transformations, you'll receive an achievement, e.g. straight after the first transformation. After a transformation, you have the option to obtain further achievements, which can only be completed after a transformation (these require that you now upgrade your buildings as fast as possible for example). You secure yourself a place in the Hall of Fame at the World Tree. You receive a new rank; this depends on the existing transformations as well as medals in the rankings. More advantages follow - it's always worthwhile to transform as early as you can. What do I lose after a transformation? All buildings disappear (except for your house, which resets to level 1; all buildings will remain at level 1 after Update 5, expected in July 2013). All the plants in the Store House disappear (except for 2 Carrots to start you off). All dragon feed is lost. Gold is reset to 1,000. Mana is reset to 300. Experience points are reset to 0; this affects your individual rank as well as the rank for your village. All spells from the Mage Academy are reset (excluding spells you have won). Field squares that you already vapourised are reset; only the usual nine starting squares and the fields squares behind the magic barrier remain vapourised after the transformation. The latter can be used immediately, providing Expand Field is unlocked. All of the articles you've placed on the market are deleted and do not contribute to the Miragic. The dragon now only has level 1. The old Questies disappear and are replaced by five new Questies with plant orders you can realistically fulfil. What can I do to save as much as possible? Certain decoration items are very valuable and can be sold in the Sorcerer's Corner Shop for 15% of the original price (buy first and sell after the transformation). As much Gold as possible should be invested in one or more lucrative big orders before performing a transformation; however these can only be completed after the transformation. This would help the other inhabitants of the village, too. In this way, you also profit from the transformations of other village inhabitants. By trading in a cunning manner, you can store plants with other players. However this does not come without its risks; other players often look out for these kinds of offers on the market. Wait until all of your plants have been sold on the market. Before performing the transformation, you should definitely use the shaded or cool zone (see plant overview). Extend the zone on your field with the Mana you have, before you perform the Transformation. The zone is, however, reset to level 1 with Update 4 (June 2013), but rises again later when learning the higher spell levels. You can find more useful tips and tricks in the forum. How is the Miragic calculated? The Miragic is calculated from the upgrade levels of the buildings, the level of the dragon, the number of own transformations as well as the total Gold, Mana, plants and laboratory items that you possess once reaching level 100. From level 90, you can see the current amount of points at the World Tree, this is 'frozen' once you reach level 100. What do all the players get? New game content such as plants and garden items for example. The World Tree is growing and distant mysterious islands draw closer; who knows what importance these will have in the future...? What exactly is changing with Update 4 in June 2013? For each transformation, you get one more field square when using "Share Experience". Field squares included in the Expand Field are now vapourised from the very beginning, not only after a transformation. What exactly is changing with Update 5 (expected July 2013)? Transformed players will have significantly more options in a larger new feature. The buildings no longer disappear after a transformation, instead they reset to level 1. Why do we have the transformation at all? Our aim was to create a mechanism in Miramagia which would prevent players from becoming more and more powerful. Thanks to the transformation, even experienced Miramagians get into situations where they need help from their village inhabitants. Moreover, it's much more interesting to rapidly progress to the higher levels as a different class or by making use of new options, compared to simply reaching level 120 within the same time instead. This wouldn't unlock any more content either. We still have some work ahead of us for the future, particularly in allocating each class with special skills and different attributions. This is all being planned. Furthermore, the transformation avoids the situation where a village remains forever unbeatable, even if in practice it is difficult to beat a village with seven top-level players who don't transform. Play with the long-term goal in mind; patience is key! You can win the weekly prize at the Wheel of Fortune, at the top of the village. This is possible right from character level 1. The weekly prize is a new way to win a prize, taking equal place alongside all the other prizes and giving the magical Wheel of Fortune a golden hourglass. 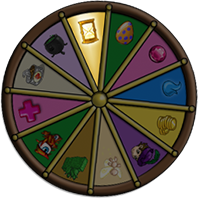 Each spin of the wheel could, with a little luck, lead to you winning a weekly prize. It's no coincidence that an hourglass marks the weekly prize. In contrast to running prizes that are available continuously at the Wheel of Fortune, the weekly prize can only be won for a short period of time. You have exactly one week to get this prize; it's announced on Monday at the Wheel of Fortune and Sunday is then the final chance to win it. As soon as the current weekly prize expires on Sunday, it is replaced on the Monday by the next prize. It's therefore worthwhile to check often and use all the free spins for the prize too. Incidentally, every weekly prize is unique and can not be won again later. However, it's possible to obtain a game advantage by other means, e.g. "Share Experience" can also be enhanced using transformations. In these cases, the weekly prize adds to the effect. Decoration items, seating groups, hair styles etc. can not be bought afterwards in the game. The weekly prize is really the only chance. Every weekly prize is unique. If you win it, you won't be able to win it again another time. The Wheel of Fortune will then visibly mark the weekly prize as "already received". Of course, you can continue to win all the other "running prizes". On the next Monday, you'll then be able to spin for the weekly prize again, when the prize is announced at the Wheel of Fortune. Although the same weekly prize cannot be won repeatedly, once you have won it, you can keep it forever. Regardless of whether it's a seating group, a spell enhancement, a hair style or something else. The weekly prize offers you a wide range of unusual prizes. Exotic seating groups, animated decoration items, impressive spell enhancements, mighty crystal sets and much more await you. As not everyone will have get these prizes, you'll have a real treasure in your hands. New weekly prize is here! This message is sent to your mailbox every Monday. The game rules are an extension of the general terms and conditions. In the event of a ban, or simply for checking what is and isn't allowed, the general terms and conditions should be read. Particularly here 8. Avoiding the game rules will be considered a violation and will be treated as such. All game rules also apply to players who are intending on deleting their account, or those who already have their account in the deletion phase. 1.1. Every player is only allowed to possess and play one account per game world. 1.2. The account holder is the person whose E-mail address is registered to the account. 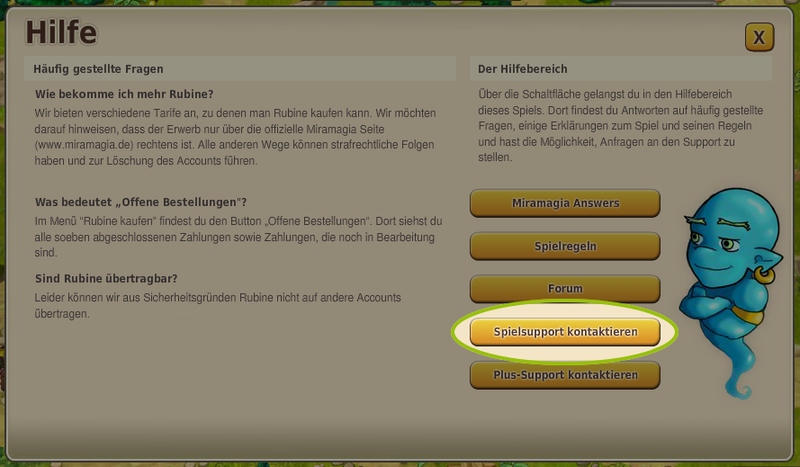 Support has the right to request the E-mail address as verification. 1.3. It is a violation of the rules to share passwords and will be punished as such. Exception: multiplayer accounts. These are only permitted if the players of the account don't possess or play any other account in the same game world. 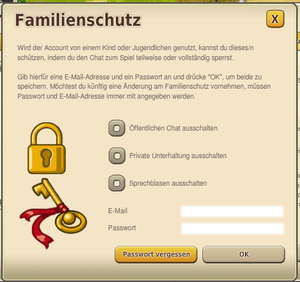 Accounts that are played from the same PC are not allowed to have the same password. 1.4. It is against the rules to attempt to gain access to another account unrightfully. Any login that is not carried out by the account holder will be seen as unrightful. Violations could lead to expulsion from the game. The Team will never ask you for your password! 1.5. It is forbidden to buy or sell plants, items, Gold, Mana or Rubies to other players for money. It is also forbidden to offer players Rubies or money in return for fulfilling an action in the game or a task. As well as the direct sale of an account or the invested time within, it is not allowed to indirectly pass on (or give) an account via auction or another monetary means of transaction. 1.6. An account must only be played for its own success and is not allowed to exist for the exclusive benefit of another account. 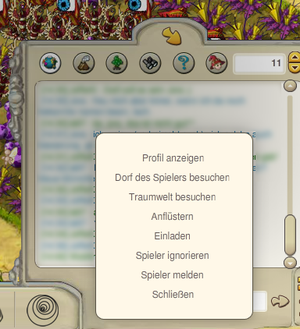 Accounts that are exclusively used to sell another account plants, items, Gold, Mana or Rubies cheaply ('pushing') are forbidden. 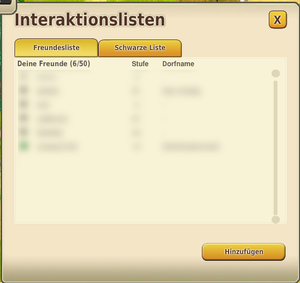 1.7 Inactive Miramagia accounts are absolutely not deleted. 2.1. Insults, vilification or other questionable comments about other players, in any form or in any place in the game, will not be tolerated and will be punished. 2.2. 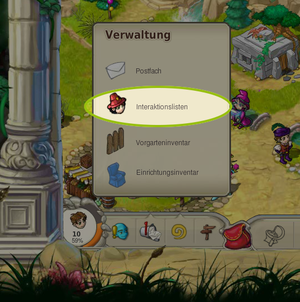 The writing in chat, IGMs (in-game messages) and player profiles in any language other than English is not permitted. 2.3. We do not allow any links in the Chat, Profile or Forum that contain offensive or pornographic content, or content of an extreme right-wing nature. We also do not allow links to other browser games, or links that are given purely for advertising purposes, or links that lead to other so-called 'don't click' sites. 2.5. Adverts of any kind, spam and chain mail are not allowed. 2.6. The publishing of IGMs, E-mails or chat logs in the game or the forum without the permission of both parties (or all persons involved) is not permitted. 2.7. It is forbidden to force a player to delete, give or share their account, or to demand them to share their password or violate a rule. 2.8. The exploitation of bugs in the game is forbidden and will be punished. The same applies to the use of scripts, bots or other similar programmes. The game must only be played with conventional browsers, rather than browsers modified for Miramagia. Graphic packs are exempt from this. 2.9. The imitation of official institutions in Miramagia, or the use of unethical or politically incorrect names is forbidden and will be punished with immediate deletion. The Support team and administrators have the right to decide the punishment for rule violations. Compensation will never be paid for the disadvantages incurred in the duration of a ban, this includes lost harvests, lost competitions or other losses. The player has no claim to the recompense or replacement of the lost time of Premium functions (Plus Account, Club Account, Busy Little Helpers, Premium Questies, Expand Field) during a ban. There will be no special treatment for paying players of Miramagia regarding the game rules, neither in the duration of a ban, nor in deciding the punishment. 3.2. The Support for the specific part of the game world is the only port of call with regards to rule violations. 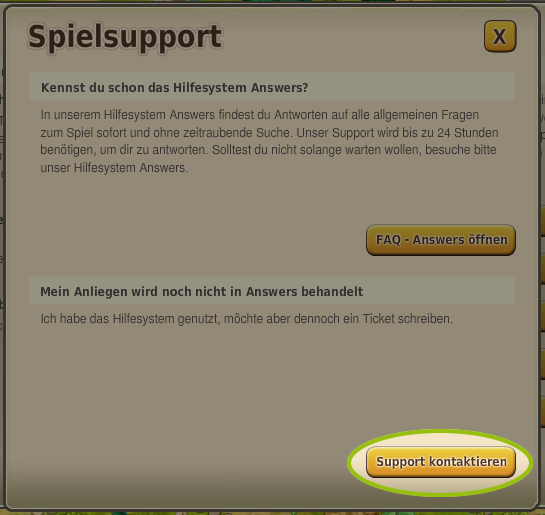 Players can send their argument, explaining their circumstances, to Support by IGM or using the Help contact form. 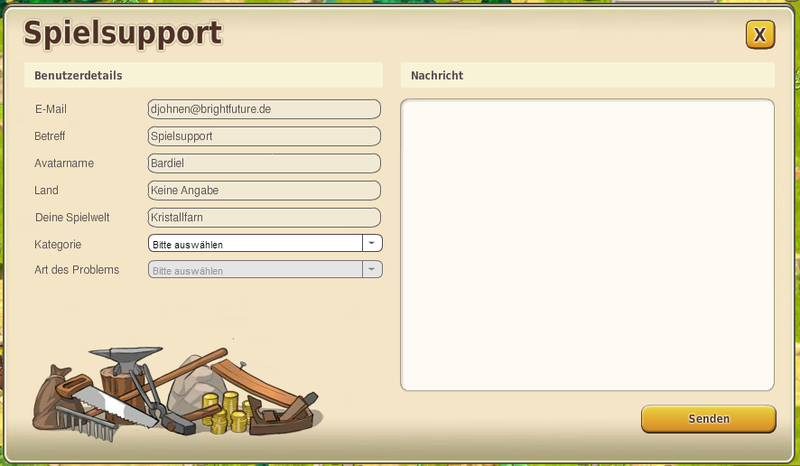 Players can contact admin@miramagia.com should they have good reason to question the decision of Support. 3.3. The Miramagia Team reserves the right to change the game rules at any time. 3.4. If a single article in the game rules becomes invalid, only the validity of the single article is effected, rather than the whole set of rules. Invalid articles will be changed by the administrators as soon as possible. Here you'll find wallpaper to spruce up your desktop. Each wallpaper is available in the sizes 800x600, 1024x768, 1280x980, 1600x1200 and 1920x1200.